Nathan Fraser, voluntaryist, host of LiveFree.fm, and author of the free e-book, As King: A Simple Guide to Autonomous Living, is scheduled to be on Exposing Faux Capitalism with Jason Erb on January 20, 2013, from 1 to 3 PM Eastern. I look forward to discussing his transition in thinking from minarchism to anarchism, and his definition of the state, rights, evidence of consent to be governed, and how things could be done in a stateless society. 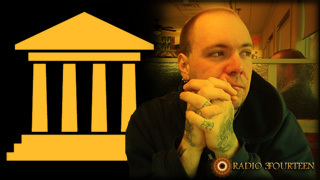 On the December 9, 2012 episode of Exposing Faux Capitalism with Jason Erb, I interviewed Marc Stevens, voluntaryist, author and radio host. This was a fascinating interview where he made some compelling arguments as to why there is no such thing as a state in existence anywhere in the world today, and he pointed out the inherent conflict of interest of judges, prosecutors and even defense attorneys, and he has a $5000 challenge to anyone who can prove the existence of a state and citizens of that state. Marc Stevens, a voluntaryist, author of Marc Stevens’ Adventures in Legal Land, and host of the weekly radio program, the No State Project, is scheduled to be on the December 9, 2012 episode of Exposing Faux Capitalism with Jason Erb. Previously, I wrote about Marc Stevens’ disclosure that Coast to Coast AM bans peaceful anarchists.